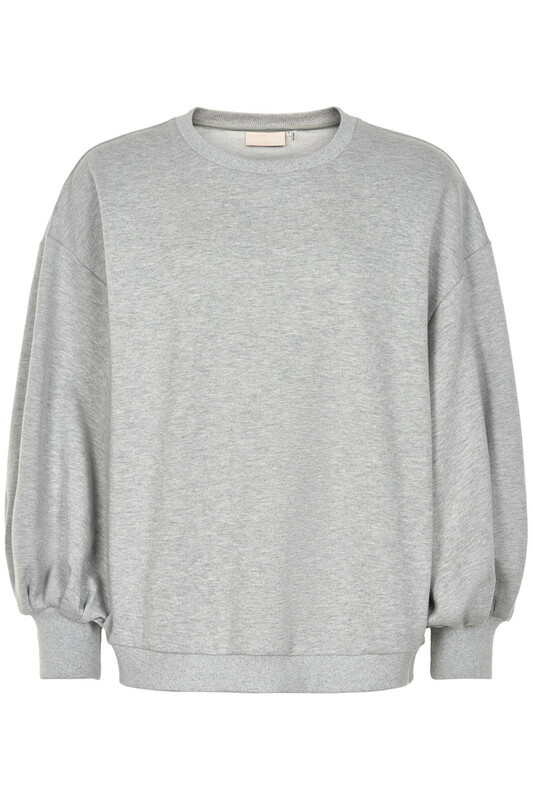 Basic sweatshirt with a stylish twist by Karen by Simonsen. It has this classic look with its ribbing and consists of a pleasant cotton blend. The neckline is round, the sweatshirt has a loose fit and is comfy to wear. 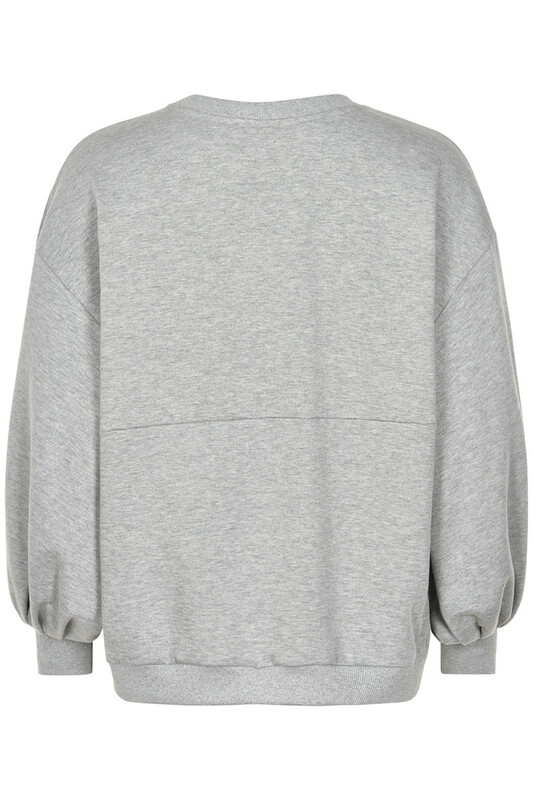 It has stylish big sleeves, adding this fashionable expression. Certainly, a warm and trendy beauty for the cool days of the season. As a little exclusive detail, the neck has woven; BY SIMONSEN – just makes you smile.